I am looking at two boats, both the same year build (1984). Diesel engines. One boat has about 3600 hours on the hour meter, but has been in a "winterized"( professional done) state, the other has only 203 hours on the meter. This one also looks like the engine is new, but is the original engine. Which one would you choose, and why? Afraid that's not enough info to venture an opinion on. What kind of boat, engine etc.? Need a lot more info. If the one with 203 hours was a recently rebuilt motor, I'd go that way. I would not be afraid of either. Pick the boat that suits you best and get an engine survey. What engine maker? I would take a heavy duty diesel over any usual yacht engine. Are either controlled by electronic sensors or circuit boards? What happens if you lose power? Does the engine still run? The color of the boat would be a big deciding factor for me. P.S. If one was steel and the other was FRP, definitely the steel boat regardless of color or anchor size. How long has the engine/s with 203 hours on it sat unused? Definitely the one with the colored, non-white hull. Because white is ubiquitous and boring. I don't have a yellow hull. Regardless, a yellow hull would be an eye-catcher, and make one quite visible. Wifey B: No, just a yellow top. Yellow is the most visible color. On the lake it seemed like all the boats were blue. Either one is going to be a crap shoot engine wise. You don't really know how well those engines were maintained over the years. Maybe the low hour one was run an hour every two months, or was run for 200 hours the back in 84 and recently run for three hours when it was put up for sale. Maybe the California weather is easier on engines that aren't used often. The 3000 hour engine hasn't had much use the last few years as I believe the boat sat on the hard for two years before being launched this year (and still hasn't been started). The freeze/thaw cycles that Maryland sees may be more conducive to corroding internal components if there is any moisture present. I know we like to think that old engines can run forever (and they can if you throw enough time and money at them) but the older I get the more I become convinced that an engine is just like everything else on a boat. It is simply piece of equipment that will need replaced at some point. A trawler with out an engine isn't worth too much. My vote is for the boat you like the best and if the engine needs replaced some time in the future, so be it. 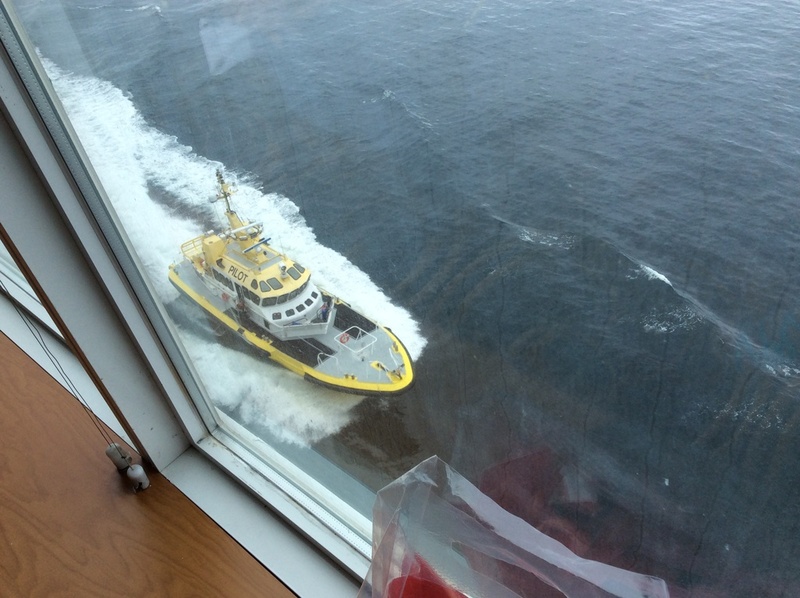 This pilot boat did my Coot one better as far as yellow goes. Trawler, white hull with red,yellow and blue dots, Rocna, delta and bruce anchors on 5/16 all chain rode, Westerbeke 100hp engines. Both boats were live-abords, one on east coast,one on west coast. So they both have the same brand and HP engine in them? You seem to live in FLL. If so and you plan on keeping the boat here save the money you'd soend on shipping the west coast boat here and buy the east coast boat.